When I started ParentWheels, I received lots of requests for more reviews of car seats for older children such as group 3 seats or booster seats. We received the Trunki Boostapak from Jojo Maman Bebe to review and guess what? It's not just a car booster seat but also a fun backpack for your little ones to enjoy. The Boostapak is made by Trunki who seem to totally understand travel with children. 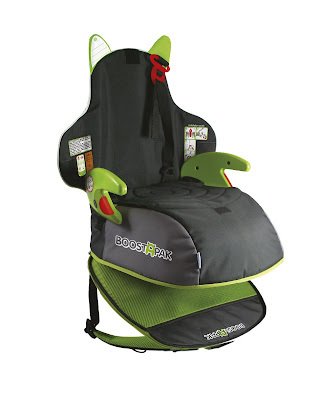 The Boostapak is ideal for taking on holiday because it allows your child to take their own hand luggage and feel very grown up doing so. 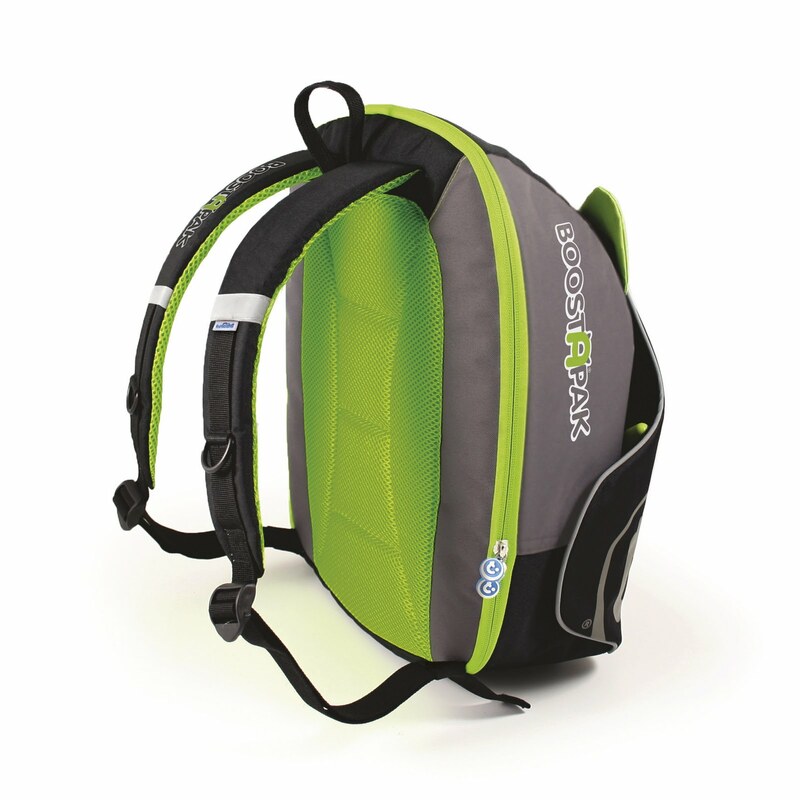 The contents of their backpack will be protected by the hard shell of the seat into which you place your precious cargo! The backpack has been approved as a size suitable for taking as aeroplane hand luggage. And, as a bonus, when you get to your destination, you can use the booster seat to ensure that your child can travel safely in hire cars, taxis or relative's vehicles. The Boostapak is made with the same care and quality as Trunki's suitcases. It is bright and bold and appealing to parents and children alike. As a car seat I found it very easy to fit as the instructions are printed onto the seat itself. The booster seat is a little more advanced than many other booster seats as it has a fold-out fabric flap which you sit up against the main seat of the car (note, the flap has ears which make it look a bit like a little monster sitting in the back of your car!). The flap has a red seat-belt guide that helps you place and locate the car's seat belt correctly to ensure maximum safety. The cover of the bag/seat is removable so that you can give it a good clean as and when needed. As a back-pack the Trunki Boostapak is quite heavy because of the firm seat shell inside it. As such, it may not be suitable for some small 4 year olds, even though they are officially old enough to travel in a booster seat. Despite this, I think the product is a really great idea and I'm surprised I haven't seen or heard more about it before. I can't wait to take Lara on holiday or to her grandparents in the future with this car seat come backpack from Jojo Maman Bebe.